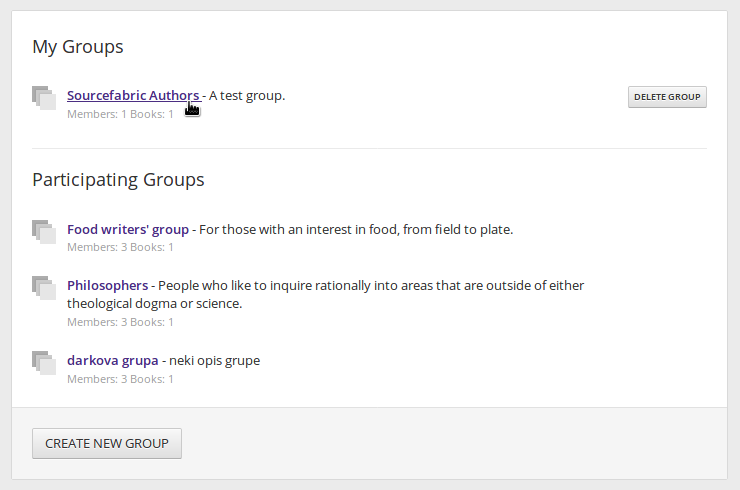 To remove a book from a group, first click the name of the group on your Dashboard. 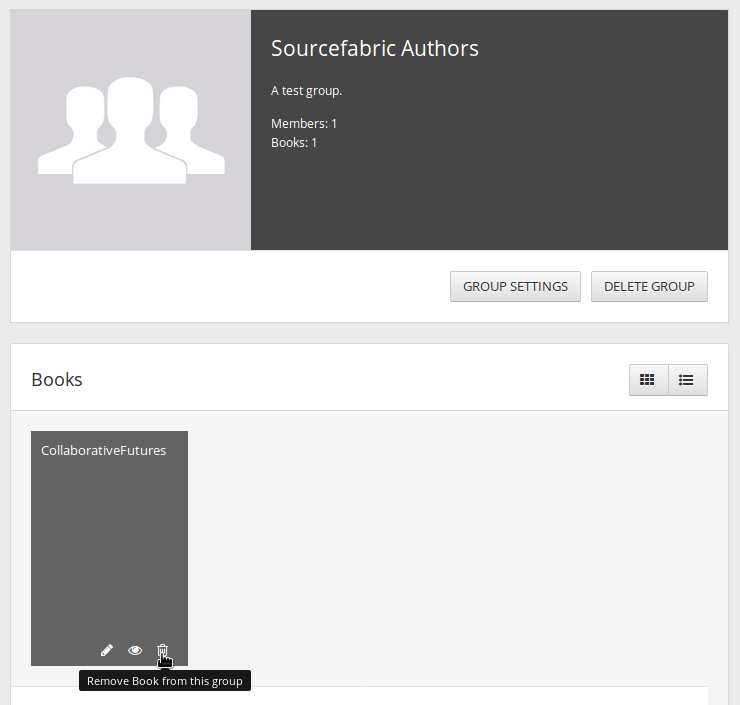 On the Group page which opens, the books currently in this particular group will be displayed. Mouse over the image for the book you wish to remove from the group and click the trashcan icon in the lower right corner. The book will not be deleted when you do this. You will be prompted to make sure you really do want to remove the book from this group. You can add this or any other book on your Booktype instance to the group later, unless the book owner has deleted it in the meantime.